It's officially spring, which means it's time to upgrade your wardrobe with new spring essentials! Florals are always a favorite, and floral appliqué designs have been ruling the shelves as of late. 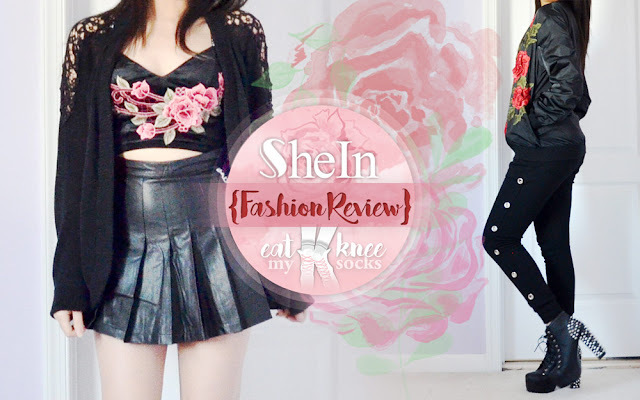 These bold, 3D twists on traditional floral prints caught my eye, so I decided to try out two rose-embroidered pieces from SheIn! Read on for my full review, featuring a black velvet floral appliqué bralette and a rose appliqué bomber jacket! 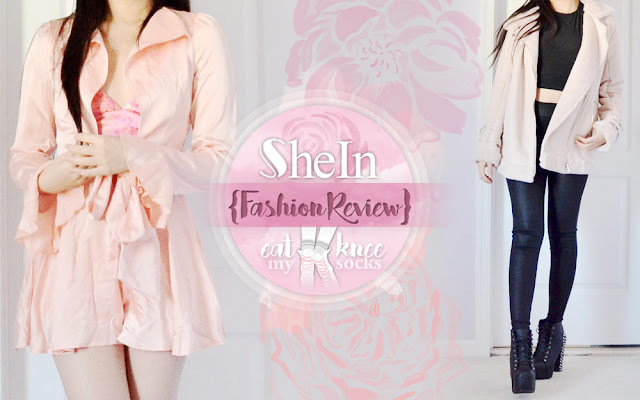 Up today: another SheIn fashion review, featuring a pink satin tie-waist romper and light lavender faux suede coat. Light colors aren't typically my go-to, but these pieces stood out to me while I was browsing SheIn's site, so I decided to give them a go. Full details ahead! New year, new wardrobe — I did a lot of shopping over the holiday season, including my latest order of 6 Romwe pieces, which just recently arrived! In the spirit of the season, I got a mix of holiday-ready styles (it's late, I know) and more understated essentials to amp up my wardrobe this year. My order included a black lace-up velvet crop top, teal velvet romper, black keyhole cutout cold shoulder bodysuit, red-and-navy plaid tennis skirt, embroidered satin bomber jacket, and teal velvet oversized coat, which I'll be reviewing right after the jump! Autumn Coats, LBDs + More! 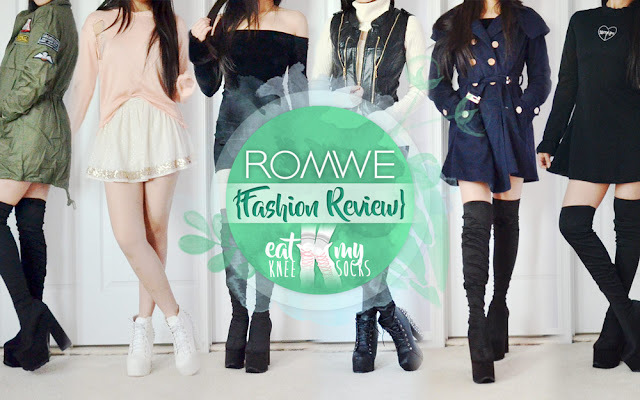 Classes are starting again, but before I go and disappear beneath a pile of work and stress, here's a long-overdue review of six Romwe clothing items! I received this package months ago and apologize for the delayed review, since some of the items reviewed are no longer sold. I got an army green military-style coat, ripped pink hooded sweater, off-shoulder faux fur velvet dress, zippered leather vest, navy capelet coat, and Morph8ne Charlotte dress dupe. Details up ahead! Happy New Year everyone!!! Hope you all had lots of fun saying goodbye to 2016, and let's hope there's even better in store for 2017! To kick off the new year, I've got a review of a new store I've never previously shopped at: Dressystar! 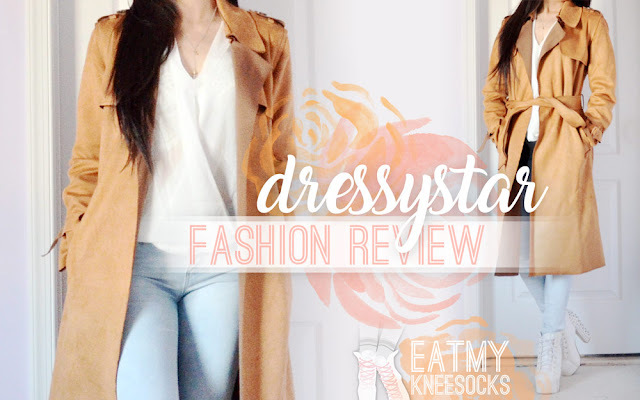 This online fashion shop sells a wide variety of elegant gowns and special occasion dresses, but I chose to review one of their everyday pieces: a longline faux suede trench coat. Details ahead! 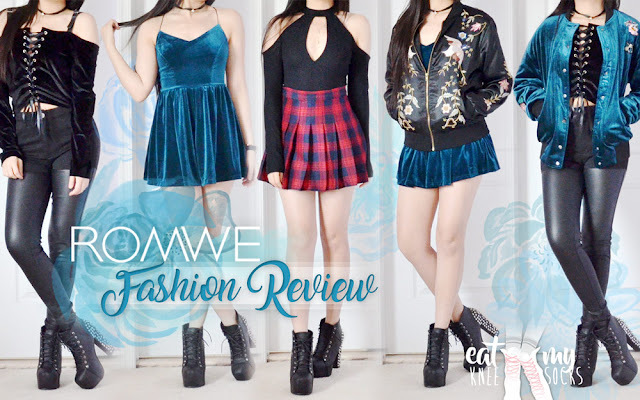 Romwe Fashion Review: Autumn Coats, LBDs + More!